Varsity Sherpa Just $26.99! Down From $64! FREE Shipping! You are here: Home / Great Deals / Varsity Sherpa Just $26.99! Down From $64! FREE Shipping! For a limited time only! Right now at Jane, you can score this Varsity Sherpa for just $26.99 down from $64 PLUS FREE shipping! 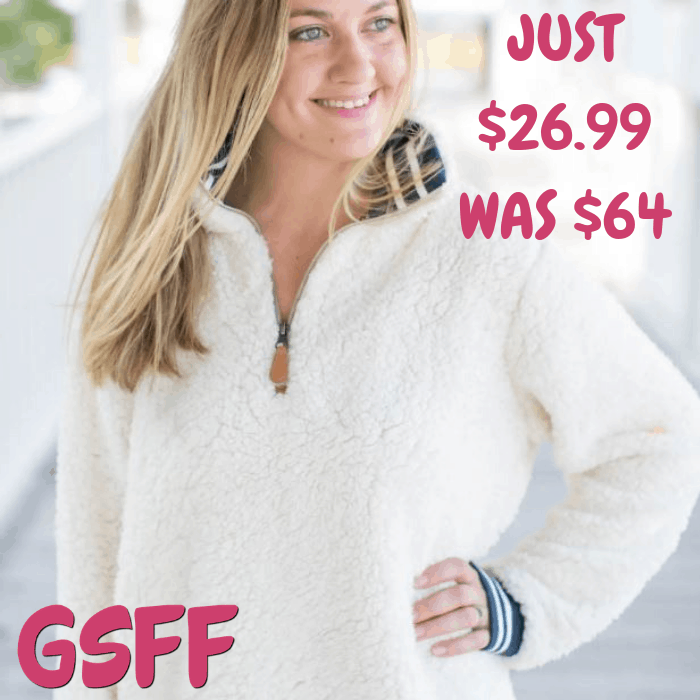 Designed in the best selling sherpa material with a preppy twist! Half-zip styling and striped banded hem and cuffs!